We’re starting the summer with a huge 50% off sale! Now through June 30, there are 30 items at www.twomorrows.com available at HALF-PRICE, while supplies last. If you can’t make the rounds of the major comic book conventions this summer because of the economy, this is your chance to pick up some perennial favorites and all-time best sellers at the lowest prices we’ve ever offered. Because of the sale, we probably won’t have many of these books at our upcoming booths at Heroes Con and Comic-Con International, so grab these fantastic bargains while you can! There’s a big banner atop our home page; click it, and you’ll go right to the list of books on sale. This entry was posted in TNT on 30 May 2009 by Mr. Morrow. Short and sweet: Now through May 31, all 12 issues of ROUGH STUFF magazine are available for 50% off cover price! This offer is only good for online orders, so stock up on any issues you missed at the best price we’ve ever offered–and stay tuned for an exciting upcoming announcement about the future of this fan-favorite magazine! This entry was posted in TNT on 18 May 2009 by Mr. Morrow. Several years ago, some crazy person decided that here in North Carolina (right in the middle of basketball country), we needed a hockey team. It sounded kinda crazy to me, until I actually went to my first game. Since then, I’ve followed our Carolina Hurricanes team whenever I could, especially during their big Stanley Cup victory season a couple of years ago. 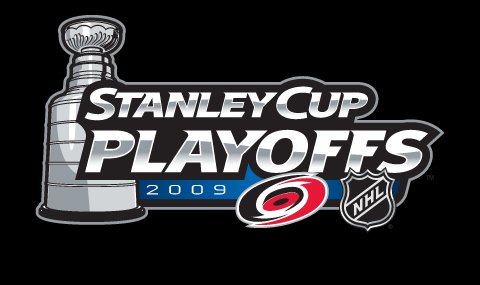 This year, the ‘Canes are in the Stanley Cup playoffs again, having made it through two rounds (with exciting last-minute victories, which they’re known for), and start the conference finals tonight against the Pittsburgh Penguins. I’m amazed at how the Hurricanes manage to keep pulling out wins, against teams that, on paper, should be much better than they are. I just wish they’d stop taking it down to the last minute on every series; it’d be nice to win 4 games and move on for once! I took my family to a fast food restaurant for lunch yesterday, and while I was waiting to order, I looked over and Eric Stohl and Scott Walker (two key Hurricanes, if you don’t follow hockey) were standing in line right in front of me. Real nice guys; I chatted with Walker briefly about their Game 7 win in overtime against the Boston Bruins the other night. Before we were done eating, six of the players had shown up there for lunch. One customer who happened to be eating there that day, was wearing his Hurricanes jersey and hat. I sat and watched to see if he’d notice; after a couple of minutes, he happened to look over to the table where the players were, and did a big double-take; it was really fun to watch. As the players were leaving, they ended up signing autographs for several of the customers. If you’ve never been to a hockey game, go; I’m confident you’ll love it, and it’s an entirely different experience from watching it on TV. I never thought I’d be hooked on it, until I saw it in person. Give it a shot sometime! This entry was posted in TNT on 14 May 2009 by Mr. Morrow. Effective immediately, we’re offering readers one last chance to purchase formerly sold out items at www.twomorrows.com. For some items, there is only a single remaining copy, and all items are available on a first-come, first-served basis, with all items sold in “as-is” condition. Customers should look for the “Last Chance Sale” category in the upper left of TwoMorrows’ home page for the full listings. Purchases can be made with major credit card or Paypal by clicking the “Add To Cart” button on each item’s description page, then logging in and checking out. If an item is listed as “Sold Out”, all remaining copies have already been purchased. So don’t delay; get ’em before they’re gone! This entry was posted in TNT on 11 May 2009 by Mr. Morrow. TwoMorrows is in the process of switching phone companies, and as you’d expect, one of them managed to screw up our number transfer. So if you’re trying to reach TwoMorrows over the next few days, you’ll get an “out of service” message if you call our usual number. (Don’t worry, we’re not going out of business–although I hope our old phone provider does!). E-mail, fax, and website are all working as normal. Sorry for the inconvenience! This entry was posted in TNT on 6 May 2009 by Mr. Morrow. This month on the show, host Chris Marshall delivers two interviews. First he sits down with Michael Eury – Captain Action: The Original Super-Hero Action Figure and then he visits with Pierre Comtois – Marvel Comics In The 1960s: An Issue-By-Issue Field Guide to a Pop-Culture Phenomenon. Chris also goes over all of the May 2009 releases. This entry was posted in Tune-In and tagged batman, jack kirby, marve, marvel age, silver age, stan lee on 1 May 2009 by Mr. Marshall.